In addition to keynotes by legendary computer scientist, Professor Wil van der Aalst, and Turing award winner, Professor Leslie Valiant, there are 18 different conferences, workshops and symposia being staged in parallel under the WCC banner. The IT in Disaster Risk Reduction; and much more. There will be two specific events focused on the history of computing. One celebrates the 70th anniversary of Polish Computer Science while the other explores, “The History of Computing in Eastern Europe”. 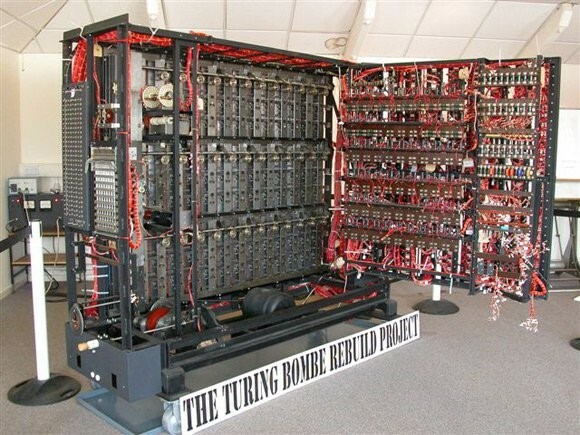 This second conference will feature a live, remote demonstration of the Bombe created by Alan Turing at Bletchley Park in the UK. This Bombe was used to find the initial settings for the Enigma machines each day, thus helping Britain’s codebreakers to decipher German signals traffic during World War Two. To celebrate the work of the three distinguished Polish cryptographers – Marian Rejewski, Jerzy Różycki and Henryk Zygalski – and the major contribution they made to helping unlock the Enigma signals, a message enciphered using Enigma coding will be transmitted from Poznań to Bletchley Park during the session. While delegates watch via a live link, the message will be decoded using the replica Turing Bombe and then a reply will be sent back.